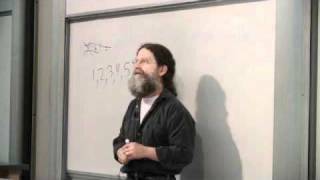 Stanford professor Robert Sapolsky lectures on the biology of behavioral evolution and thoroughly discusses examples such as The Prisoner's Dilemma. 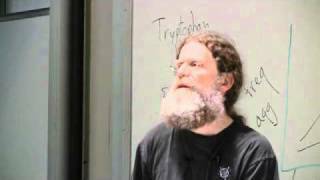 Robert Sapolsky makes interdisciplinary connections between behavioral biology and molecular genetic influences. 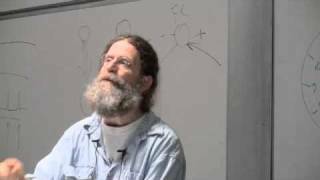 He relates protein synthesis and point mutations to microevolutionary change, and discusses conflicting theories of gradualism and punctuated equilibrium and the influence of epigenetics on development theories. 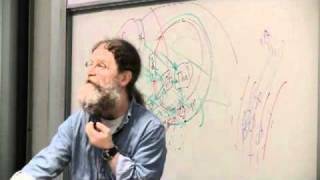 Robert Sapolsky continues his series on molecular genetics in which he discusses domains of mutation and various components of natural selection on a molecular level. He also further assesses gradualism and punctuated equilibrium models of evolution, integrating these theories into an interrelated model of development. 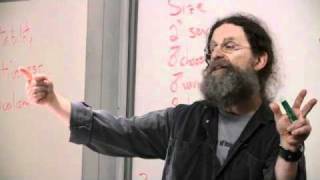 Robert Sapolsky introduces a two-part series exploring the controversial scientific practice of inferring behavior to genetics. 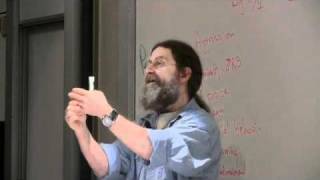 He covers classical techniques in behavior genetics and flaws, the significance of environmental factors, non genetic inheritance of traits, and multigenerational effects and relationship to epigenetic differences. 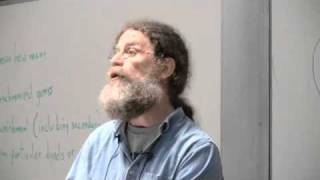 Robert Sapolsky continues his series addressing the link between behavior and genetics. He covers the complex endeavor of gene isolation and variability and heritability and wrongly eliminated environmental influences in heritability tests -- finding that genes and environment are infinitely interconnected and co-dependent on each other. 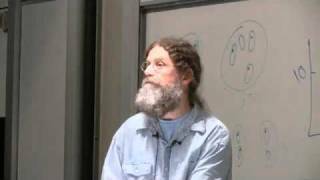 Robert Sapolsky discusses various methods of innate recognition of relatives between animals and humans through protein signatures, olfactory cellular mechanisms, cognitive, and sensory processes. He explores the importance of relatedness in animal mating/ovulation cycles and other phenomena that show how organisms identify each other. 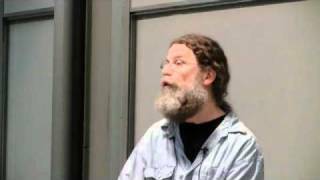 Robert Sapolsky looks at the biology of behavior through the ethological lens: observing animals in various natural environments, in their own language. He explores behavioral variety, the importance of gene environment interactions, experimental testing of fixed action patterns, the releasing of informational stimuli, and neuroethology. Nathan Woodling and Anthony Chung-Ming Ng give a broad overview of the field of neuroscience and how it relates to human biology. They discuss the different lobes of the brain and the cells within as well as neuropharmacology and re-uptake. 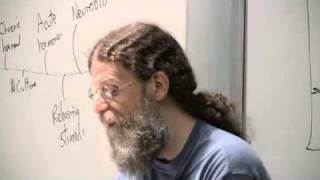 Robert Sapolsky focuses on the role of the limbic system as the emotional component of the nervous system. He explores its influence on decision making, its connection to the cortex, and the various functions of subparts within the limbic system circuitry. 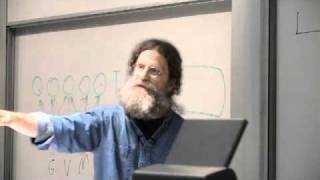 Robert Sapolsky delivers the second part of his two-part lecture on sexual behavior. 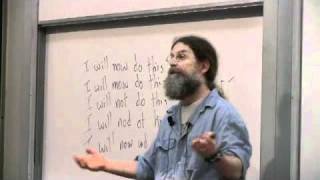 He discusses how this behavior has evolved into the intricate and complex system that exists today. Patrick House discusses memories and how they are formed. Dana Turker then lectures about the autonomic nervous system and its functions. 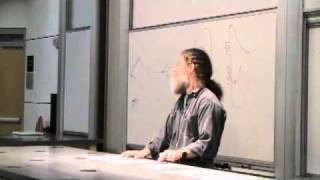 Robert Sapolsky completes his talk on sexual behavior in humans as well as other species, focusing on characteristics that create attractiveness. He then switches subject and talks about human aggression and how this has evolved and developed in different cultures. 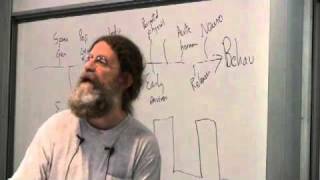 Robert Sapolsky continues the exploration of endocrinology and neurology. He looks at more complicated systems of communication within neurobiology, the limbic system's role in personality and behavior, abnormal behavior possibilities within these systems, and individual organism variation and imprinting. 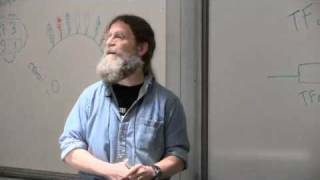 Robert Sapolsky continues his lectures about aggression in humans but also continues to talk about other emotions and what goes on in the brain to cause these various emotions. 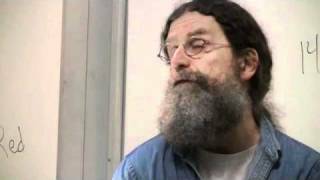 Robert Sapolsky continues his neurobiological exploration of human aggression. He discusses correlations between neurotransmitter prevalence and aggression levels, aggressive activity differences from genetic variance, societal factors and application, amplification from alcohol, and crime and punishment. 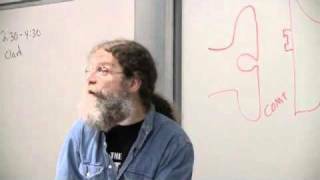 Professor Robert Sapolsky completes his fourth and final part of a discussion about aggression and violence. He discusses how hormones and evolution have shaped this behavior into the way humans interact today. 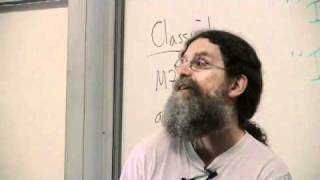 Professor Robert Sapolsky gives what he calls "one of the most difficult lectures of the course" about chaos and reductionism. He references a book that he assigned to his students. 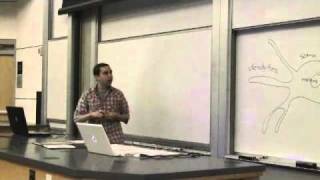 This lecture focuses on reduction science and breaking things down to their component parts in order to understand them best. 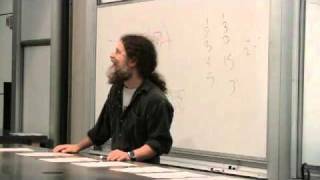 Professor Robert Sapolsky gives a lecture on language. 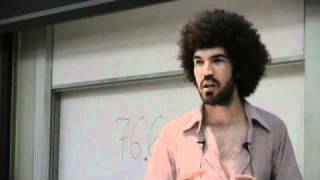 He describes the similarities and differences between different human and animal languages. He focuses on how we use language to communicate with each other, how we communicate with animals, and how animals commute with each other. 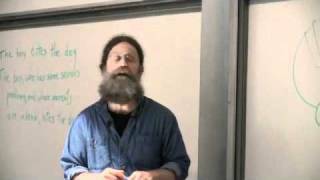 Professor Robert Sapolsky gives the final lecture in the Human Biology 160 class. 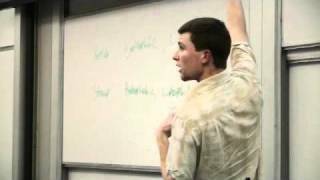 He uses the lecture to wrap up any loose ends and show how the themes of the class connects without the more complex concepts that were brought up throughout the course. 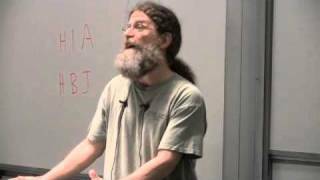 Professor Robert Sapolsky finishes his lecture on language and then dives into his discussion about schizophrenia. He discusses environmental factors as well as genetic characteristics that could apply to people who are affected. He describes schizophrenia as a disease of thought disorder and inappropriate emotional attributes.